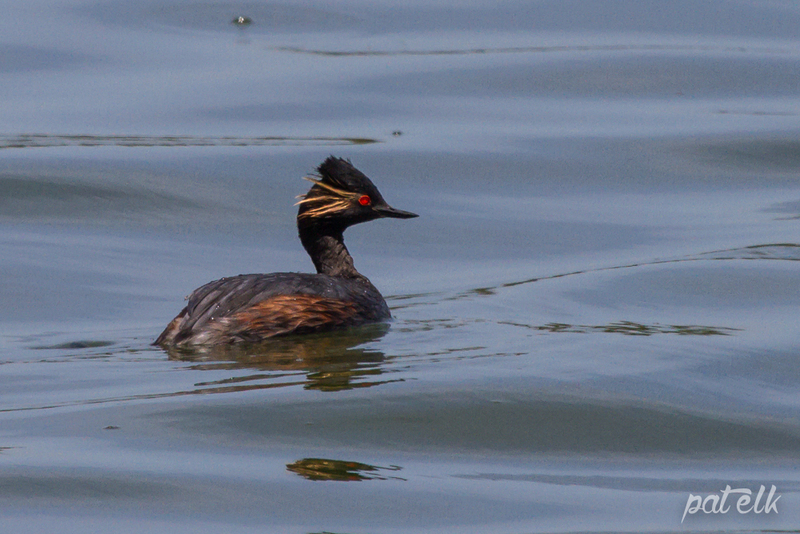 The Black-necked Grebe (Afrikaans name, Swartnekdobbertjie) is slightly larger than the Little Grebe. 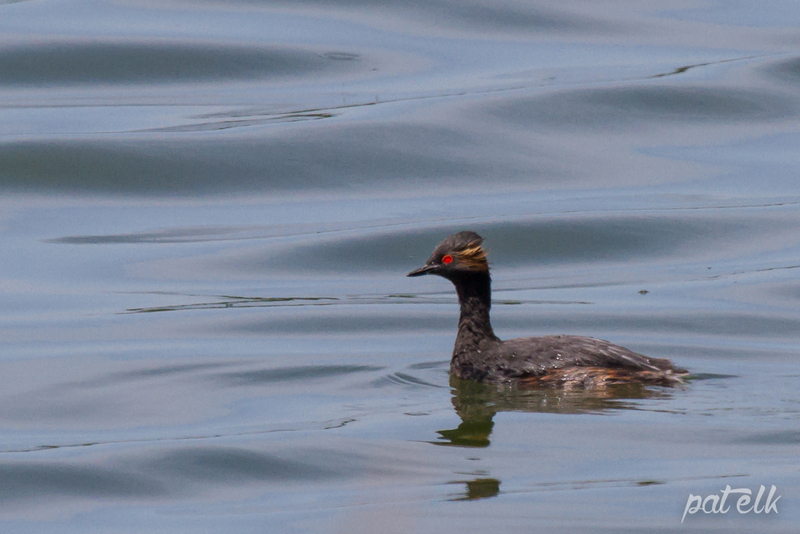 They have bright red eyes, almost like glowing coals, and the male adults have bright orange ear tufts. It is a common local resident but isn’t seen that often. We saw these at the Strandfontein Sewage Works in Cape Town.